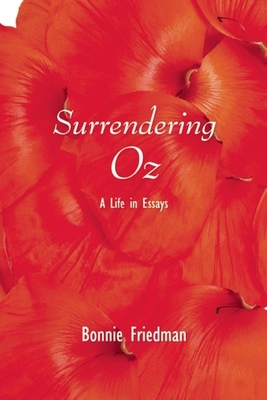 Surrendering Oz is a memoir in essays that charts the emotional awakening of a bookish Bronx girl. From her early job as a proofreader at The Guinness Book of World Records through a series of dominating and liberating friendships and secret connections, the author takes charge of her life as a Texas professor, writer, and wise student of her own soul. Reader's Digest says reading Surrendering Oz "is like having a conversation with a bracingly honest but fundamentally kind friend. In 15 pitch-perfect essays, she chronicles her hard-earned rejection of the cultural fairytales of womanhood as she comes fully into possession of her life." Bonnie Friedman is the author of the widely anthologized Writing Past Dark: Envy, Fear, Distraction, and Other Dilemmas in the Writer's Life. She is also the author of The Thief of Happiness: The Story of an Extraordinary Psychotherapy. Her work has appeared in The Best American Movie Writing, The Best Buddhist Writing, The Best Writing on Writing, the Best Spiritual Writing, and The Best of O., the Oprah Magazine. She teaches creative writing at the University of North Texas, and divides her time between Brooklyn, New York, and Denton, Texas.